The Archdiocesan Office for Black Catholics has announced three winners for its 2019 World Youth Day Essay competition, which was open to active Catholic students who are members of archdiocesan parishes and attending high schools, colleges or universities. The winners will receive a free trip to the World Youth Day scheduled in Panama in January 2019. The competition was funded by the Martin de Porres Foundation and the topic of the essay would be on one of the five African Americans from the past who have causes for canonization in progress. The five were Father Augustus Tolton, Henriette DeLille, Mother Mary Lange, Julia Greeley and Pierre Toussaint. “It is my hope that the World Youth Day Essay Contest served as an inspiration to explore the lives of the holy men and women on the road to sainthood,” said Father Richard Owens, O.F.M. Cap., the director of the archdiocesan Office for Black Catholics. “In reading the lives of the five individuals on the road to sainthood, one quickly realizes that the common thread is perseverance in the midst of struggle. 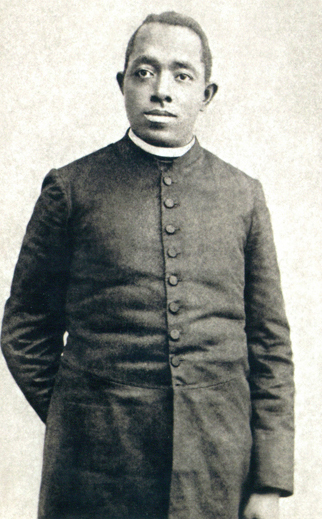 Interestingly, two of the winners chose to write on Julia Greeley, who lived from the mid-1800s to 1918, and the other on Father Augustus Tolton, 1854-1897, who is recognized as the first African-American priest in the U.S., although others ordained ahead of him had mixed Caucasian-African heritage and passed for white. Olivia Chandler, who also wrote on Julia Greeley, was recommended by her pastor at St. Raymond Parish, Philadelphia, Father Christopher Walsh. In her essay, Chandler wrote, “Julia Greeley inspires me to act justly, love goodness and walk humbly with my God for several reasons. First, Julia is a prominent example of doing God’s mission. Catholics are taught to reflect God through his teachings. There is no question that the five potential saints from the past which the students considered remain role models for this generation. I have been praying to Augustine Tolton for years. I was a contributor to the school when the parish took over the cost of running the school. God bless the students and Father Tolton.